Share personalized messages of joy, thanks, or just hello with these unique notecards inspired by one of the most cherished and thought-provoking books of all time: Antoine de Saint-Exupéry's The Little Prince. 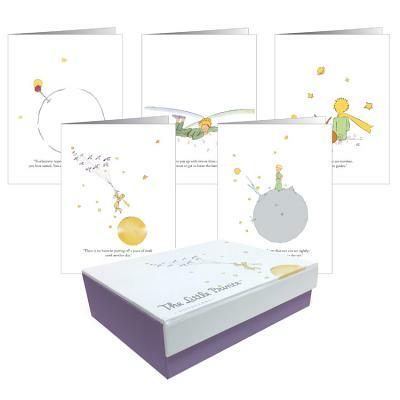 20 cards, each featuring a quote and full-color artwork from The Little Prince, with space for your own message. The set comes with 4 each of 5 unique designs.